Concert hall, built 1993-1997 by Óscar Tusquets. Named in honour of the Las-Palmas-born Spanish tenor, Alfredo Kraus (1927-1999). 1656 seats. 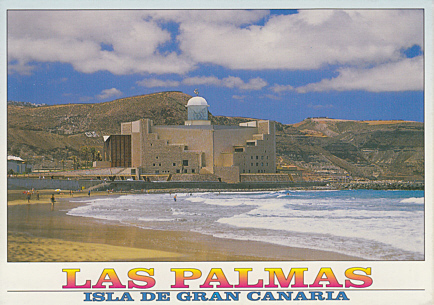 Front Text: "Las Palmas - Isla de Gran Canaria"
Reverse Text: "Auditorio Alfredo Kraus - Las Palmas de Gran Canaria"